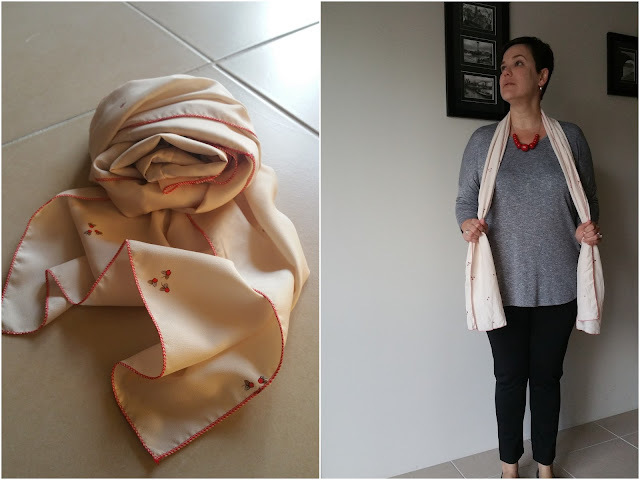 I recently picked up two smallish pieces of silk at various sewists meet ups. Both were too small for a garment (also I don't really wear woven garments so not great loss), but perfectly sized for scarves. I wear scarves every day when the weather is cooler so the fate of these two pieces of silk was determined the day I took them home. 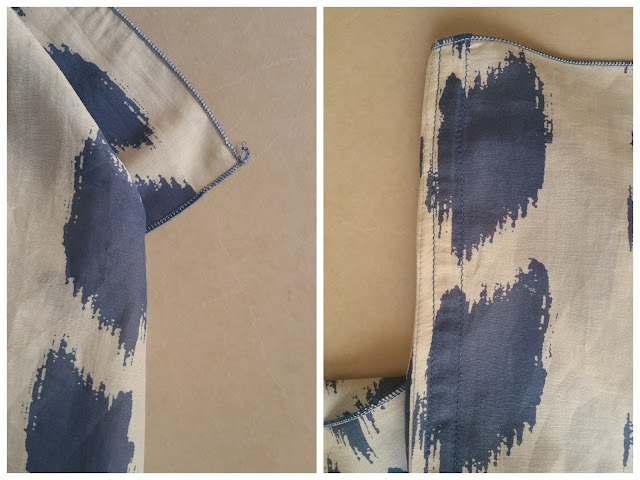 In order to get the length I wanted I cut both pieces of fabric in half width ways and then joined them together using a (I think) flat-felled type seam. It's not ideal to have a great big seam running down the center back of any scarf but needs must. I finished the edges with a rolled-hem on the overlocker. It's not THAT hard to change thread on the overlocker and I already had the rolled hem set up from an earlier project so took the opportunity to get these two small projects out of the way. 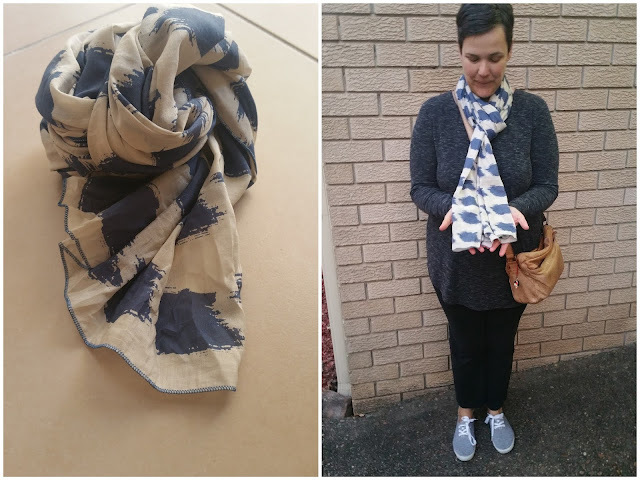 I wore the blue scarf out for a supermarket dash on Sunday and I love it! The print is definitely my style and as the fabric is quite soft the back seam isn't noticeably felt when I'm wearing it. The creamy scarf was worn to work yesterday. I find the fabric quite "twee" and not really my style but it was lovely to wear and garnered an unsolicited compliment so that's always nice.